Though she enjoys traveling the world, Donna Hager of Hager Bears, loves nothing better than coming home to the cozy home in the country she shares with her family. Donna's interest in bears began as a collector over twenty years ago. 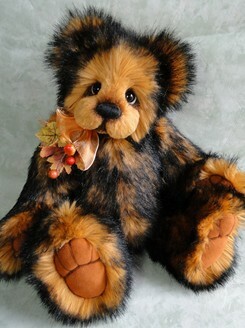 "My husband and I started going to teddy bear shows and adopting one-of-a-kind bears. 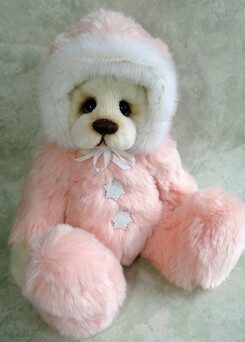 I collected bears while my husband focused on collecting mohair animals like mice and rabbits." It was at a teddy bear show that Donna bought a piece of mohair fabric after deciding to make a bear herself. "I kept that piece of mohair for several months before getting the courage to draw my pattern and cut into the expensive fabric." Thank goodness she mustered up the courage. 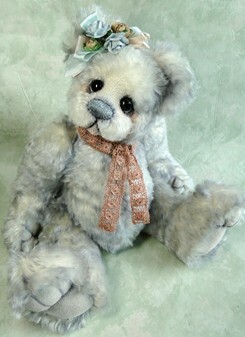 One of the first bears she made was for her, then one year old, daughter. "I sent in a photo to a teddy bear magazine contest and won first place!" With the award in hand, she had the confidence to begin her business. Twenty years later, she's still going strong. Through the years, her husband traveled around the country with her attending about 15 teddy bear shows a year. It was a great opportunity to make new friends and meet collectors with the same interest in teddy bears. Although she still does 2-3 shows a year, most of her creations are now available through her web site. "I also enjoy participating in several online teddy bear shows each year. 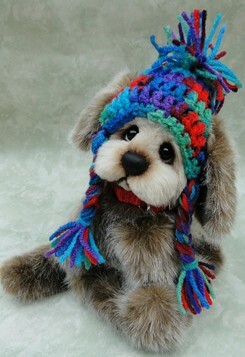 I showcase my new creations on Bear Pile and in Bears&Buds magazine." Creating mostly one-of-a-kind bears for collectors, she also enjoys accepting special orders as well; overall, creating about 50-75 teddies each year. "I create each one completely by myself from beginning to end. Over the years I have learned new technique and incorporated them into the latest creations." 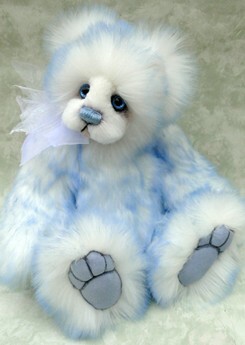 Now some of her bears have hand-painted eyes, eyelids, extensive needle sculpting or even sculpted and shaded paw pads. "Each bear is a work of art and requires many hours of detail work to create their soulful expression." 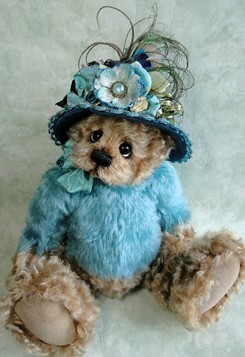 For years, Donna was best known for adding beautiful hand-made hats to her bears. 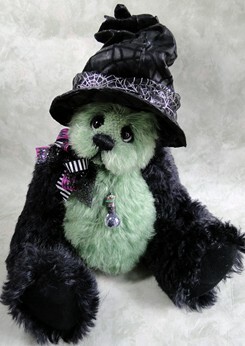 She has also received recognition by collectors for her fairy bears and witch bears. "For each fairy or witch bear, I hand-make a tiny vial of fairy dust or potion on a necklace." This is one way that she combines her love for doll house miniatures with her passion for bear-making. "I add little necklaces or special touches using miniature items that I create as well." Donna has won several awards in recognition of her work as a bear artist. 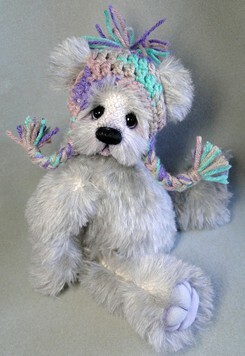 She has been featured in several teddy bear magazines and her creations have been adopted world-wide. Whether Donna is meeting new friends in person at a the shows, or online social networks and Facebook, she relishes the opportunity she has had to create some special friendships because of the bears she creates. "One of the things I love most about creating a bear is imagining the collector opening the package they just received in the mail, taking out my bear from the packaging and a big smile taking over their face. It is my wish that every time a collector sees a bear I have created displayed in their home, they smile."